A big mistake some homeowners make is waiting until after their pool is installed to research what kind of maintenance is required. At Fronheiser Pools, we’ve known people to be so excited for their pool installation and the fun that will come after that they forget that a pool is also like a machine that needs regular maintenance. While pools are fun, we highly recommend looking at what’s involved in taking care of a pool before an installation to avoid a commitment you’re not prepared for. A neglected pool is a waste of money, and if you don’t keep it operating properly, it can leave you with no pool and needed repairs. 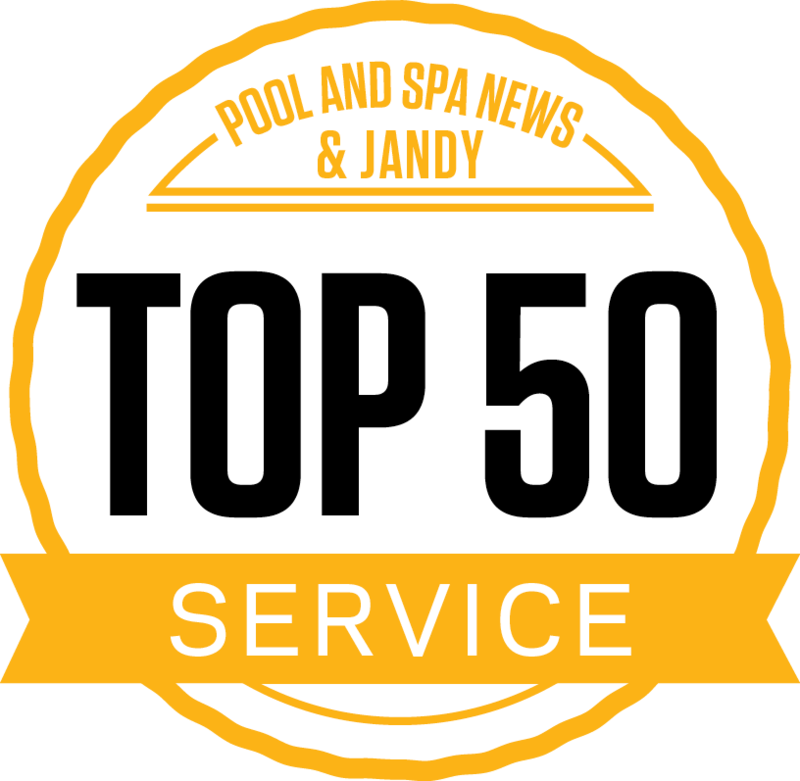 One important aspect of pool maintenance is prepping it for seasonal changes, particularly ahead of summer and winter. That’s why we’re laying out just how to open and close your pool so it stays clean and uncontaminated year-round. The first thing to know about opening your pool is that closing it properly the fall before will make the process much smoother. 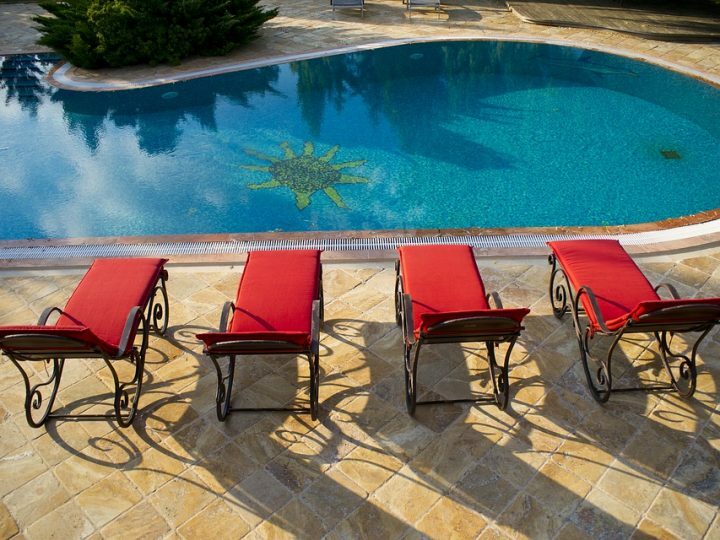 Keep an eye on your pool area through the winter and don’t let issues wait until spring. The best time to open your pool is early spring. You’ll want to begin balancing your water ahead of warm weather to prevent algae growth. Remove and clean the pool cover. Store it only after it’s completely dried to prevent mildew. Reinstall the pump, filter, ladders, diving board, etc. Remove plugs and replace return outlet fittings. Refill the pool to normal water level. Restore the circuit breakers, switches, and time clock trippers to normal operation positions. Engage the circulation system and clean the pool. Run the system until the water is completely clear. Balance the water chemistry and monitor levels until they stabilize. Make sure your chemicals are up to date. Remove your diving board, ladders, rails, safety ropes, eye ball fittings, skimmer baskets, and other items in and around the pool perimeter, except for the filtering equipment. Clean the pool thoroughly, all of it. 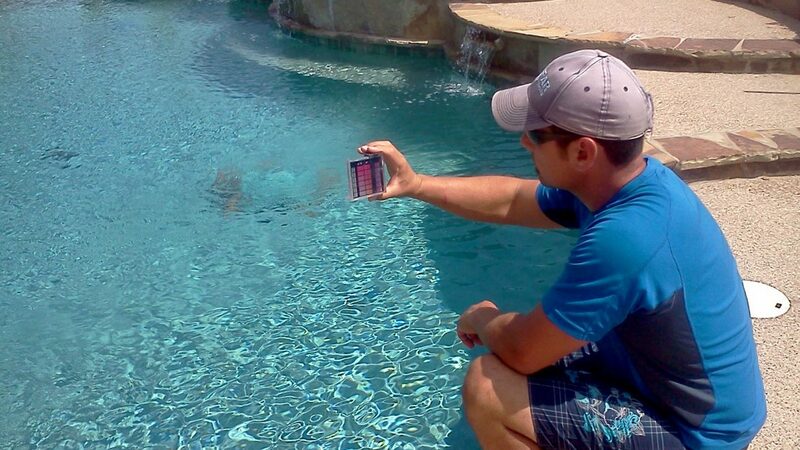 Test to make sure your pool water is properly balanced. The pH should be between 7.4 and 7.6, and the alkalinity needs to be between 100 ppm and 150 ppm. Once the water is clean and balanced, add your winter chemicals. Be sure to check the directions if you buy a chemical kit and follow them closely. Backwash and clean the filter and pump. Make sure the filter and pump are clean. After backwashing, remove any debris in the pump basket. Blow out the lines. Doing a thorough job of this is essential to ensuring that your pipes don’t crack underground during winter. Put on the winter cover. Make sure there are no rips or tears. Secure with water tubes. These steps are crucial to having a clean, well-operating pool system year-round. However, we understand that some can seem challenging, even overwhelming. 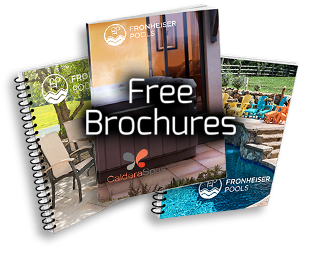 Our team at Fronheiser Pools offers opening and closing programs in which our reputable experts take care of each step for you. No fuss. No inconvenience. To find out more, visit our website, or call us at (610) 845-2221.